I’m delighted to see that Mozilla have worked with Digitalme to create new Open Badges based on their Web Literacy Map. Not only that, but the badges themselves are platform-agnostic, with a GitHub repository containing the details that can be used under an open license. In a recent collaboration with the Mozilla Learning team – I got to understand how I can take our work to the next level of openness. Creating publicly available badge projects is one thing, but it’s another when they’re confined to one platform – even if that is your own. What truly makes a badge project open is its ability to be taken, maybe remixed, and utilised anywhere across the web. Be that on a different badging platform, or via a completely different delivery means entirely. 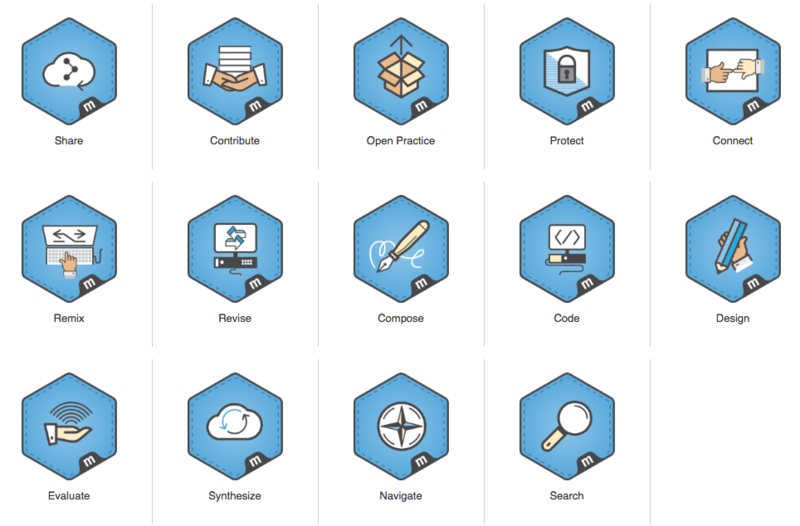 This is exactly the right path for the Web Literacy work and Open Badges work at Mozilla. It’s along the same lines as something I tried to achieve during my time as Web Literacy Lead there. Now, however, it seems like they’ve got the funding and capacity to get on with it. A big hats-off to Digitalme for wrangling this, and taking the hard, but extremely beneficial and enlightening steps towards working (even) more openly. If you’re interested in working more openly, why not get in touch with the co-operative I’m part of, We Are Open?